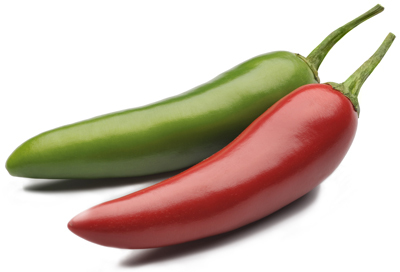 A member of the capsicum family, jalapeño chillies range from moderately to very hot. Originating from South America, they are about 4cm long, dark green when young and scarlet when ripe, and are sold both fresh and tinned. Dried and smoked, they are known as chipotle, and take on a deep, sweet flavour that some say has a slight chocolate note.